The farmland is barely noticed by tourists as they drive between Seogwipo City and World Cup Stadium near Oedolgae. Even many Seogwipo residents could not tell you where Hanon is. Nevertheless, in this farmland lies the largest maar crater in the Korean peninsula. There will be a symposium on Nov. 26 at the Jeju International Convention Center to raise international awareness about the significance of the crater and to discuss how to restore it. 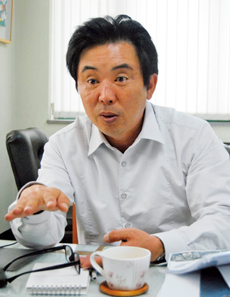 Dr. Lee Suk Chang, president of JAYEONJEJU: Jeju Cultural Heritage Committee, is a key player in the effort to get this previously unnoticed area recognized and protected by national and local governments. This will be the first time in human history to attempt to restore a 50,000-year-old crater. The Hanon Maar is often passed by, but it is massive. It shares a place with the famed Mt. Baekdu in North Korea, and Nari in Ulleung Island as craters with more than a 1,000-meter radius. Originally, the crater had a lake, possibly six meters deep with a few beautiful islets jutting out of the center. This crater is unique compared to other volcanic craters due to the fact that it is the only maar type crater in South Korea. Instead of being formed by a caldera, a bowl shaped crater formed after the giving way of land after the explosion, maar craters are created by the meeting of the magma and underground water, amplifying the magnitude of the explosion and forming sedimentary layers on the side of the eruption site. Marr craters are scientifically significant on account of varved sediments. Varved sediments are yearly deposited layers of materials including organic material such as pollen. As these distinct, varved layers accumulate, the result is similar to tree rings, giving a clear and detailed historical record for every year of its existence. The record in the Hanon Crater ranges from 42,000 to 68,000 years. 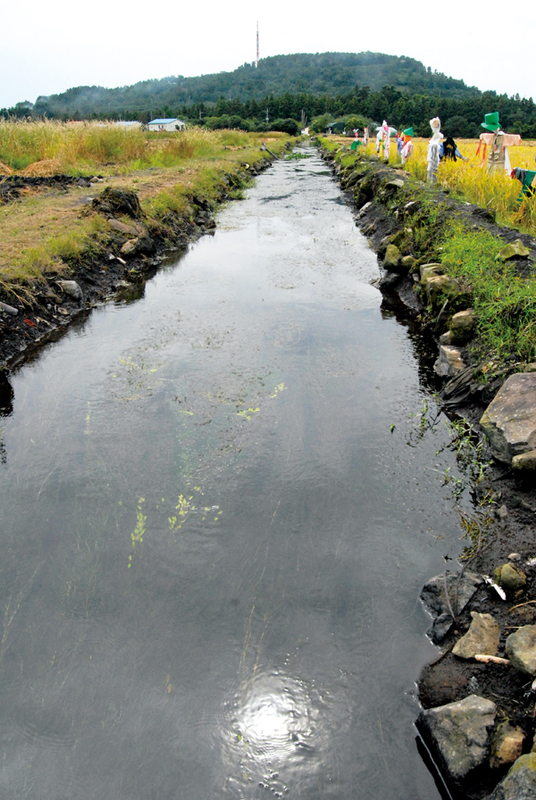 The historic record that these varved sediments preserve is particularly valuable to the wealth of scientific knowledge due to its location on Jeju Island. Jeju lies at the crossroads of the climates of Japan, Korea, and China. This convergence allows the Hanon Maar to contain a history of the climate for the entire Northeast Asian region. The biggest concern is that these valuable varved sediments will be disturbed or destroyed with development in the crater. The damage first began 500-600 years ago, when a notch was cut out of the walls of one of the craters. The crater is so large, that currently there is an entire village resting in the crater. However, Lee doesn’t believe that this is the primary problem. It’s a common procedure for the government to compensate the locals for relocation. Unfortunately, the government cannot compensate as well as big businesses that might want to move in. The biggest difficulty for Lee is to get the local and national governments involved. Lee says that he wants this land to be a sustainable and preservable asset to Jeju and not to hold anything like a baseball stadium or hotel, which is immediate and commercial.